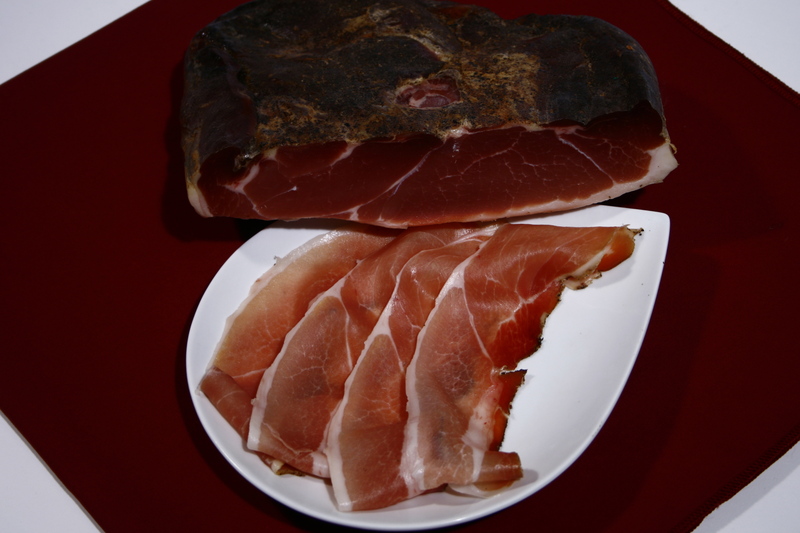 Typical charcuterie product from the Alto Adige region. The inside is pink with a tendency towards red and clearSly defined fat parts. It has a very distinct spicy and smoky taste. It is extremely versatile from a gastronomic point of view. 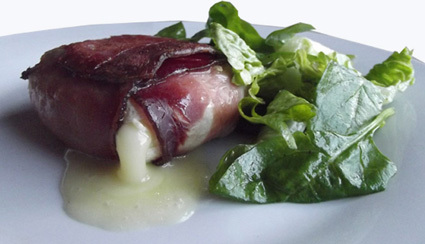 It is made from raw pork legs which are then smoked and matured. Produced by an Italian, family-run business Gianoni, established more than 130 years ago. Click here to find out more. The minimum purchase of this product is 200 g.